RAISE UR PAW NEWS: WTH? 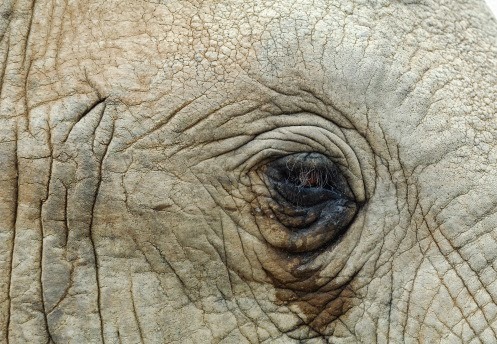 RAJU THE CRYING ELEPHANT MAY BE FORCED BACK TO A LIFE IN CHAINS. WTH? RAJU THE CRYING ELEPHANT MAY BE FORCED BACK TO A LIFE IN CHAINS. Captured as a baby, RAJU, was bought and sold over his 50 year lifespan, bounded by spiked chains and being forced to be a begging elephant a lifestyle that no life should have to endure. According to the article an animal protection group called WILDLIFE SOS, rescued the innocent life from his abusive owner and mahout (individual that rides elephants) during a JULY mission in the Uttar Pradesh region of India .. It seemed that RAJU'S had finally got his happy ending, an ending that touched millions of hearts around the world and bringing to light the issue of abuse and cruelty that these lives endure, being bound and mistreated by ignorance and inhumanity. "The vet and our team came with fruits and just started speaking softly to him and to reassure him that we were there to help, and it was at that time that tears flooded down his face" A statement made in the article (Huffington Post) by Nikki Sharp, the executive director of WILDLIFE SOS- USA, "They've done a lot of elephant rescues and the fact that the tears were just coming down ... he was weeping. It was an emotional moment and everyone was more motivated to get him on the truck and to safety"
Just the thought that this beautiful creature's happy ending might be turned upside down all because his owner filed papers in court to get him back is not only heartbreaking but inhumane as well - to force RAJU back into a life that stole his happiness and well-being for so many decades, being once again enslaved into the cruelty that deprived him of so much, is beyond words. RAJU is one of God's creatures, he is not property or an object - he is a living, breathing soul that deserves happiness, freedom, a life that doesn't involve the abuse and mistreatment that he endured... and for him to be brought back into that life of slavery & cruelty is truly a crime against nature and makes us question so much - including the justice system, if they allow this "monster" to get RAJU back. We need to come together united - to show the greatness of our nation by speaking out and standing up for RAJU and his freedom - for if we remain silent, then another life will perish by the hand of the dark side of humanity and can we truly live with ourselves if this happens?